This natural mold cleaner is also fantastic for cleaning mildew. My mum has always cleaned the bathroom with vinegar, baking soda, lemon juice, and tea tree oil. 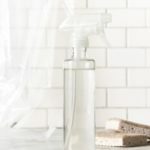 She will often get a soft cloth and wipe the basins out with pure tea tree oil before guests arrive to naturally disinfect and clean surfaces and give them a gorgeous fresh smell. It works a treat. We feel very Australian using native tea tree oil all over the house. The powerful medicinal and anti microbial powers of tea tree oil are incredible. If you don’t have a bottle of this magical stuff in your house get one. Tea tree oil can be used to treat all kinds of wounds, skin ailments, coughs and colds. But it is absolutely fantastic for cleaning mold and mildew. My mum and dad live in a Victorian terrace house with an old claw-foot bath in their bathroom with an old-fashioned shower curtain. It all looks incredible, but can be a pain to clean. My mum cleans it once a week by using this homemade tea tree spray and a scrubbing brush. She sprays this solution on, gives it a good scrub, and then soaks it, rinses it, and hangs it out to dry in the sunshine. 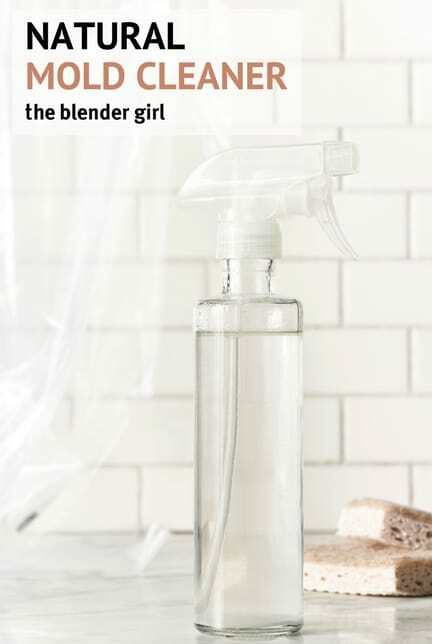 This natural mold cleaner also works well on bathroom tiles and surfaces. 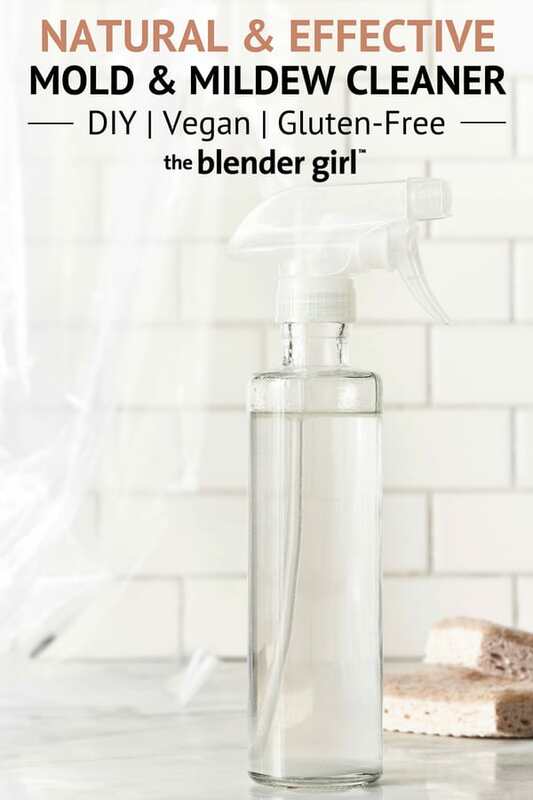 Give this natural mold cleaner a go and let me know if it works for you. 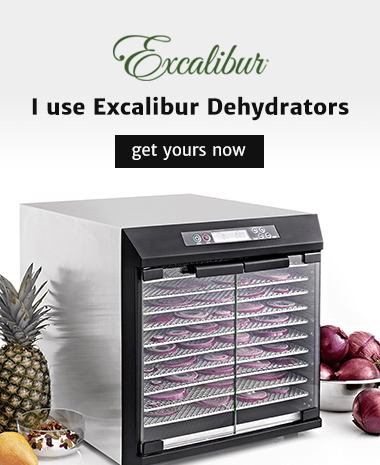 This solution is absolutely fantastic for cleaning mold and mildew. Dissolve the borax and vinegar in the warm water. Add in the tea tree oil. Spray the affected areas and scrub with a brush. Rinse with warm water and wipe over. This is fantastic for shower curtains and shower walls.